Dr. Chris Paredis joined the Automotive Engineering faculty in January 2018 as the BMW Endowed Chair in Systems Integration. Previously, he served on the Mechanical Engineering faculty at Georgia Tech (2002-2017), as Program Director at the National Science Foundation (2014-2016) in the areas of systems engineering and design (ESD, SYS, and DEMS—currently the EDSE program), and as research scientist in the Institute for Complex Engineered Systems at Carnegie Mellon (1996-2002). Dr. Paredis' research focuses on systems engineering and design. 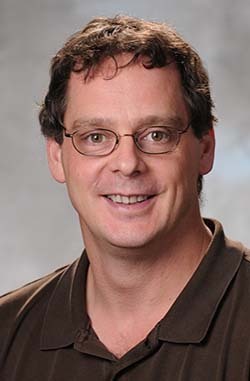 His work combines aspects of decision theory, information technology, simulation, and systems theory to support the design of complex engineered systems. In particular, he has contributed to the area of Model-Based Systems Engineering, with a focus on integration between system descriptive models (e.g., in SysML) and predictive analysis models (e.g., in Modelica). Complementary to MBSE, is a focus on decision theory and, in particular, value of information theory. He has recognized that systems engineering and design can be considered as an information gathering process, in which specification and prediction models are gradually refined in search of system alternatives that promise to be most valuable. Value of information theory helps engineers identify the most valuable information sources at each stage in the development process. Dr. Paredis is a Fellow of the ASME and has served in several leadership roles within the ASME community. He is past Chair of the ASME Computers and Information in Engineering Division, and has served as Conference Chair for the 2007 Computers and Information in Engineering Conference (CIE'07). Dr. Paredis currently serves as co-Editor of the ASME book series, Advances in Computers and Information in Engineering Research. Dr. Paredis is also very active in the systems engineering community. He was a co-author of the INCOSE "Systems Engineering Vision 2025—A World in Motion" (2014) and he served as the Conference Chair for the 2013 Conference on Systems Engineering Research (CSER'13).